Hytec offers both an economical standard poppet type coupler and labor-saving push-to-connect flat face coupler. Both styles are rated at 5,000 psi that has 1⁄4” NPTF connections. 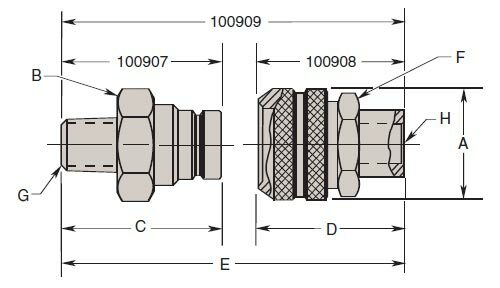 The standard coupler is recommended for lower cycle applications where two hand connections and slight spillage after disconnection is acceptable. The push-to-connect coupler is easier to connect and keep clean, making it ideal for use in high cycle applications like pallet coupling. (This coupler is found on our manual pallet valve.) The flat face design eliminates the waste and mess associated with other types of hydraulic couplers. The coupler collar is lockable, making it even more secure in moving applications.